Not being originally from the Philadelphia area, when I first heard of Water Ice my initial snarky reaction was, “well, what else would you make ice from? 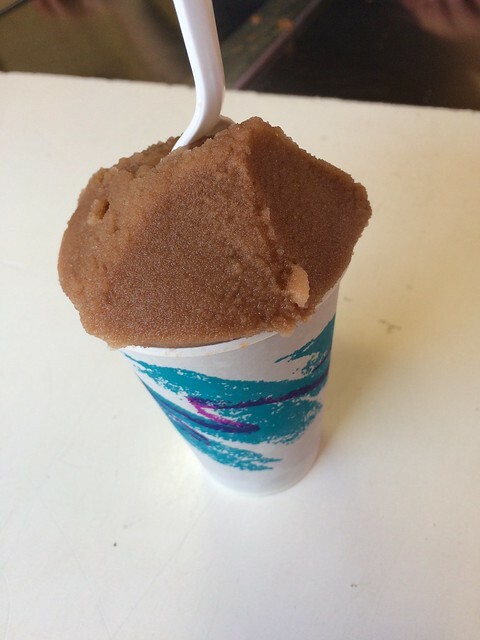 !” If you’re from Philly however, you’ll know that “wooder ice” is fruit and sugar added to that water, then frozen into a slush, an Italian inspired tradition. 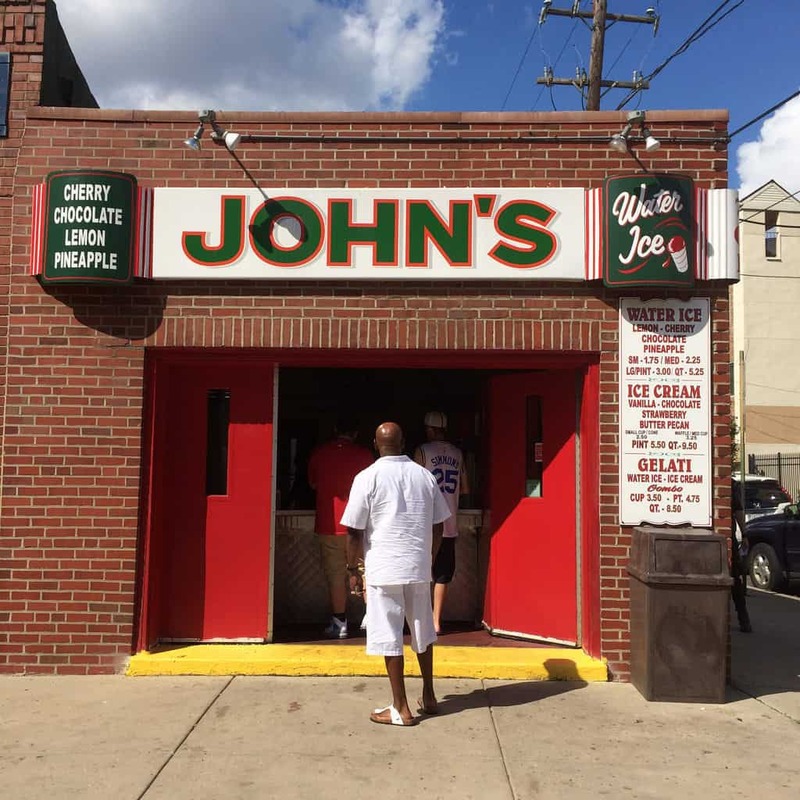 And you’ll also know that one of the classic places to go to get this regional delicacy is John’s. 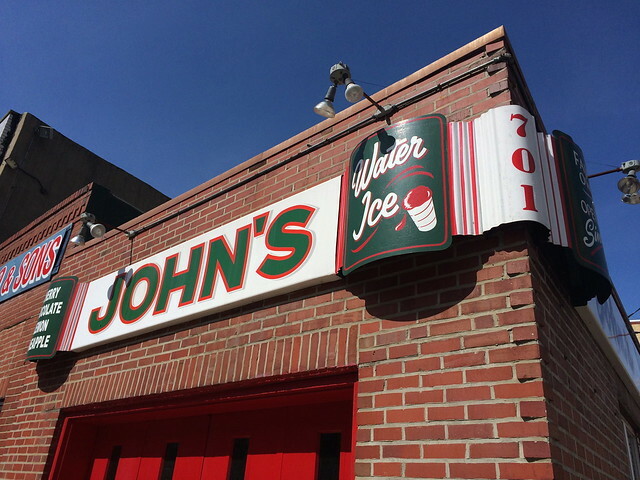 John’s Water Ice is located at the corner of Christian and 7th street, just a quick few blocks walk from the Italian Market. You can’t miss the big cheery red and green signage above the doubledoors. Anthony Cardullo is the 3rd generation to run this always family-owned business that his grandfather (John) started in 1945. Open seasonally (call ahead to ensure they’re there when you want to visit) and cash only, the operation is blissfully simple - step inside the double doors, place your order, pay, then retreat to the street to eat your frozen treat! The recipe is secret, but the ingredients are simple. Fresh fruit -locally purchased, water and sugar. 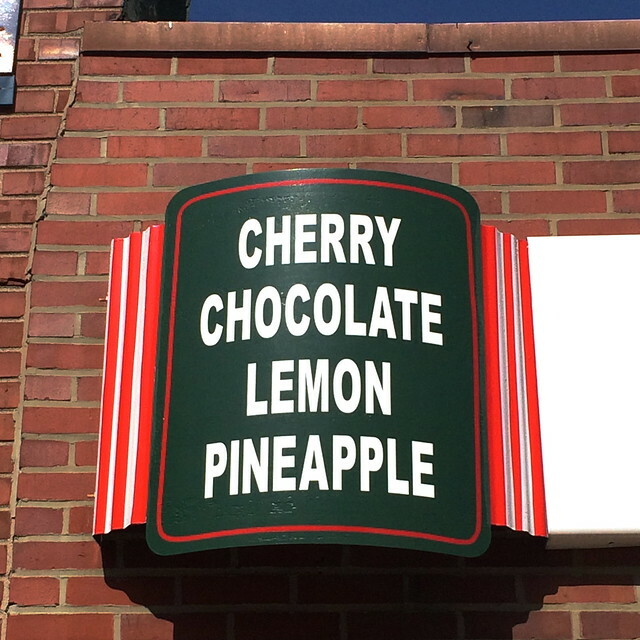 The classic menu offers Lemon, Cherry, Chocolate, and Pineapple and on the weekends there are usually 1-2 special flavors listed on the board inside. 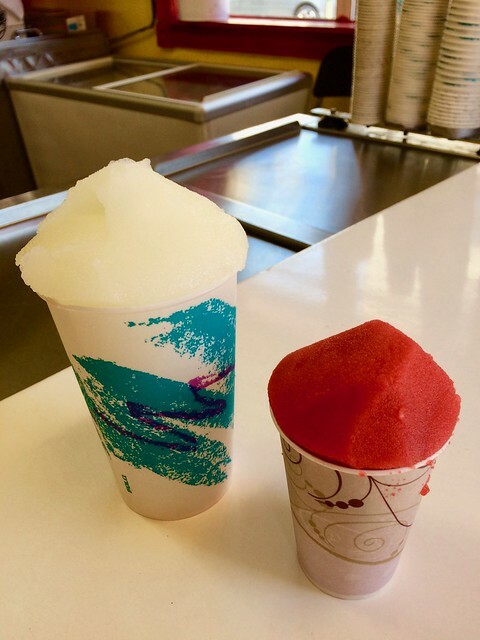 You can also get an ice cream, or layer your water ice with the ice cream for a “gelati”. 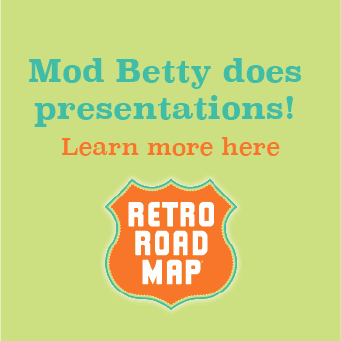 You’re guaranteed a brain freeze if you eat it quickly, so slow down and savor the flavor as it melts. 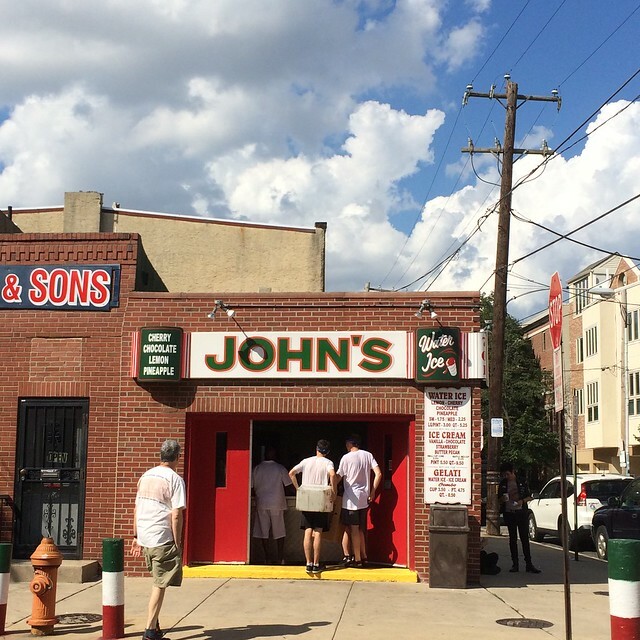 Walk around the neighborhood while you enjoy your ice, subtly reminding passersby that a traditional Philly treat is just around the corner. The Philly way to eat this is directly from the cup, but you can get a spoon if you want! Need a salty snack to counter the sweetness? They serve soft pretzels too, a Philly fave!